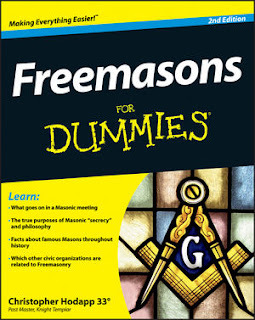 Pennsylvania Masons take note! Brother Michael Halleran, author of "The Better Nature of Our Angels: Freemasonry in the American Civil War," will be speaking at the Gettysburg Museum and Visitor Center on Saturday, May 21st, 2011. This public event begins at 2PM. The Center is carrying Brother Halleran's book, and is one of the rare instances of a book about Freemasonry offered for sale by the National Parks Service. Michael is the former editor of the Scottish Rite Research Society’s Plumbline. He is a freelance writer, a lecturer at Emporia State University, and a practicing attorney in the Flint Hills of East-Central Kansas. 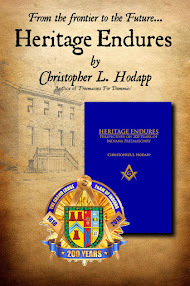 He is a member of both Emporia Lodge No. 12, AF&AM, and Mount Zion Lodge No. 266, AF&AM, Topeka, Kansas. 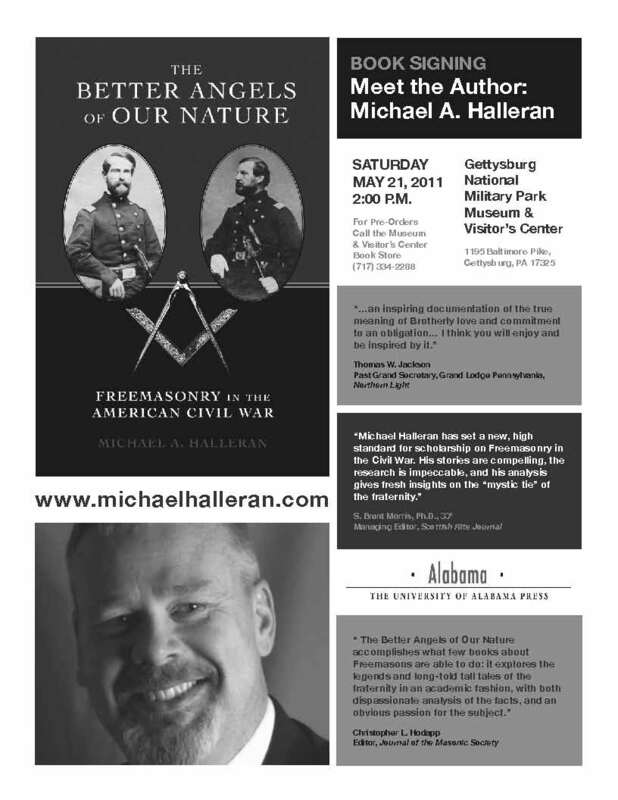 Halleran received the Mackey Award for Excellence in Masonic Scholarship by the Scottish Rite Research Society for his article on Civil War Freemasonry in Heredom, vol. 14 (2006), and he was the author of the "Brother Brother" feature for The Scottish Rite Journal (now appearing in The Square Magazine). He is a member of the Quatuor Coronati Correspondence Circle, and the Scottish Rite Research Society, where he studies American military Masonry and the traditions of military lodges worldwide. The Gettysburg National Military Park Museum & Visitor Center is located at 1195 Baltimore Pike, Gettysburg, PA 17325. For more information, contact the center at (717) 334-2288.